One of Addison’s Pest Control Specialists performing an inspection. Been experiencing minor to severe skin bumps, welts or irritations that you can’t explain? Found one or more, live or dead bed bugs or bugs you don’t recognize? Discovered that your neighbours, friends or family members have been exposed to a bed bug infestation recently? We inspect for a wide range of pests: bed bugs, carpet beetles, cockroaches, mites, fleas, ants, wasps and more. We arrive to every inspection prepared to perform a full treatment to get rid of your problem the very same day. Inspection fee goes towards the cost of a treatment. Bed bug inspections are the key to active infestation prevention. Not everyone reacts to bed bug bites, which can make spotting an infestation in the early stages a major challenge. 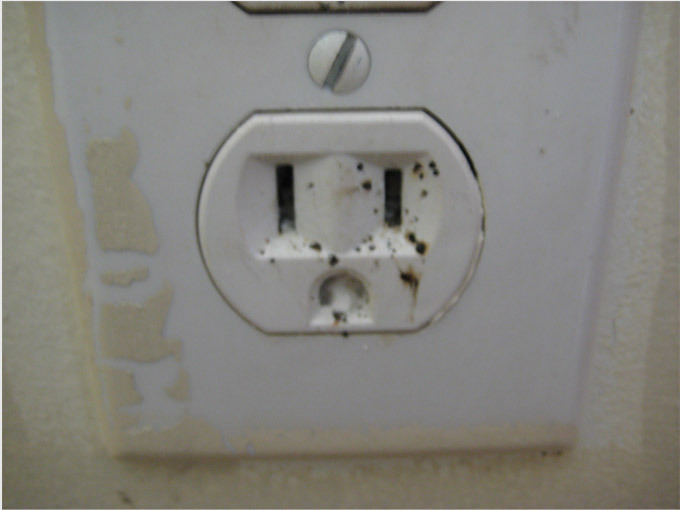 If you know what you are looking for a thorough visual inspection is the most reliable way to spot an infestation even in its earliest stages. Bed bugs can be very stealthy pests, however, and spotting the early warning signs of an infestation often takes the experienced eye of a professional pest control professional. 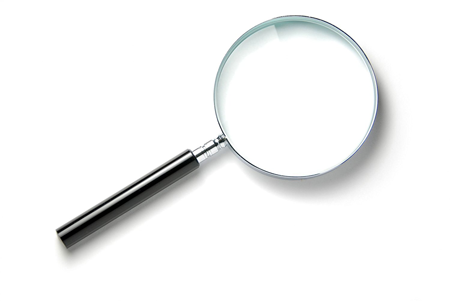 Call us to book an inspection service, we can almost always get there the same day. Any furniture where you sit sleep or rest for more than 45 minutes per day such as couches, chairs, mattresses, box springs or bed frames. Bed bugs CANNOT penetrate fabrics. They cannot live INSIDE of a mattress or pillow. The less clutter and storage underneath and around the beds couches and chairs the more thorough and conclusive an inspection can be. Use Your flashlight to look carefully at every surface on the or close to furniture where you spend 45+ minutes per day. Focus especially on cracks, folds, seams and corners. You will need to prop up your mattress and box spring and flip over your couches and chairs. Bed bugs have a single pair of antennae, and a pair of wing pads. If you suspect you have a bed bug infestation clear and complete information is the first step to getting rid of them. Here are a few facts, myths, and tips that will help you to make a well informed decision about what to do next. They feed exclusively on mammalian blood. 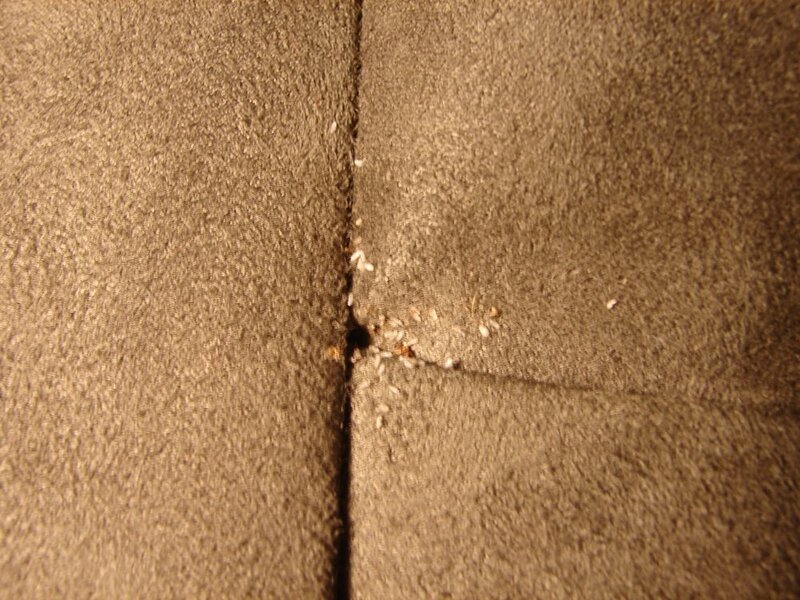 Bed bugs will hide and lay eggs as close as possible to places where we sleep or sit for more than 45 minutes per day. Bed bugs will only infest the closets, dressers or bookshelves, kitchens and bathrooms when an infestation has become severe. Bed Bugs CAN be eliminated. Don’t believe the horror stories about unbeatable infestations, skyrocketing pest control fees, throwing out precious furniture, eviction or endless bed bug recurrences. DO NOT throw out your bed! This will NOT eliminate the infestation. Efficient, safe and complete bed bug remediation requires a varied, thorough, professional treatment. Check out our treatment process above for more details about our method. Not everyone reacts to bed bug bites. The bites are allergic reactions to chemicals in bed bug saliva that they inject as they draw a blood meal. Up to 30% of people show no skin reaction to bed bug bites. If you have less clutter and check your mattress often you will be more likely to spot an infestation in the early stages. Can hide deep inside a crevice in the bed frame or box spring, inside boxes and storage under the bed, or even inside a wall socket or power bar. Pick up on increased CO2 output, increased body heat, decreased body mobility and ambient darkness which tell them it is safe to come out of hiding and feed. Unlike mosquitoes and ticks, bed bugs DO NOT transmit communicable diseases.